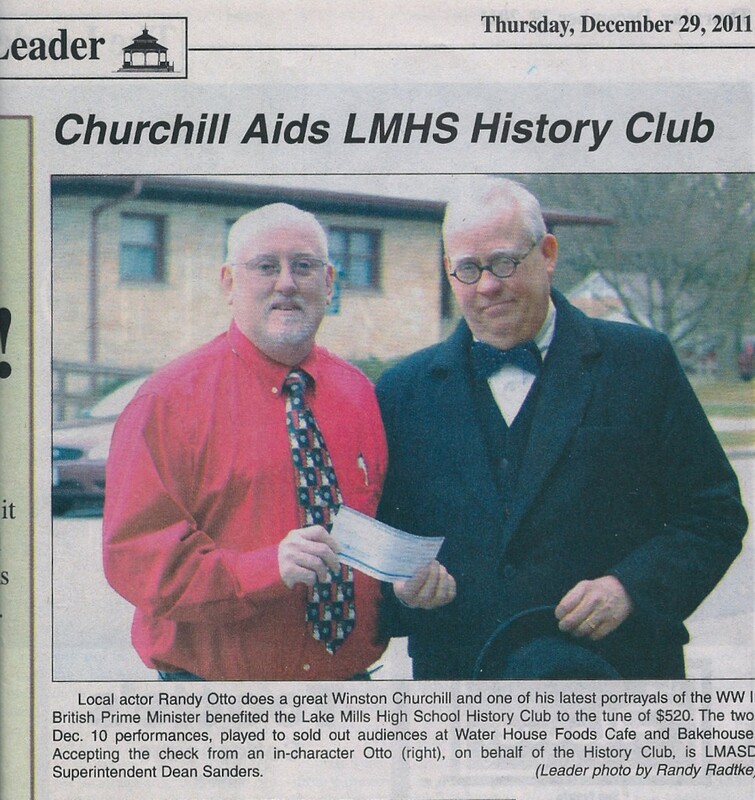 Local actor Randy Otto does a great Winston Churchill and one of this latest portrayals of the WWII British Prime Minister benefitted the Lake Mills High School History Club to the tune of $520. The two Dec. 10 performances, played to sold out Water House Foods Cafe and Bakehouse. Accepting the check from an in-character Otto (right), on behalf of the History Club, is LMASD Superintendent Dean Sanders. Debut Performance of ‘Churchill: The Blitz’ a Success!